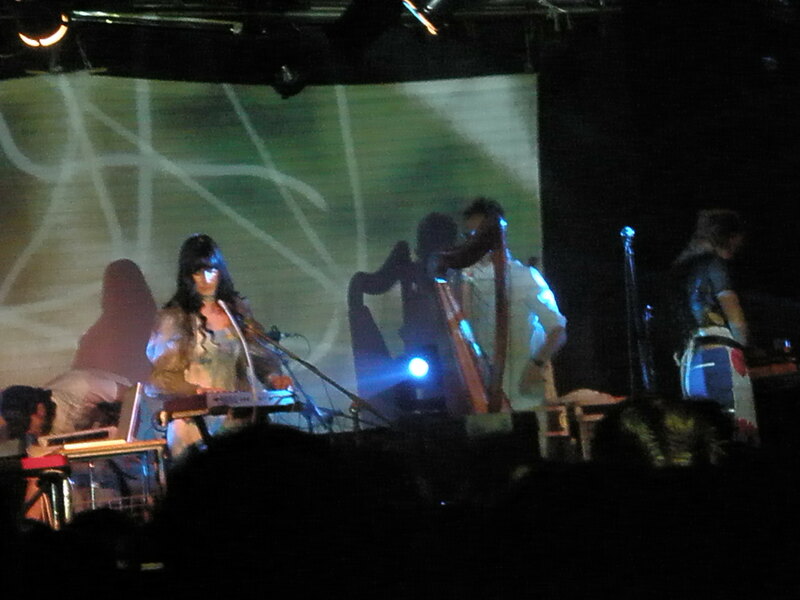 No, CocoRosie aren’t a Chinese band, but they came to China as part of their current tour promoting their new album, Oceans Grey and I just wanted an excuse to gush about them. They sound like other artists and at the same time completely original. Their sound has traces of other artists like Joanna Newsom, Bat for Lashes, David Bowie,, Sigur Ros, Billie Holliday, but their songs as a whole sound like nothing else in my record collection. I was relatively unaware of the duo until I stumbled into Yugong Yishan to see what the fuss was all about. Their combination of jazz, blues, hip hop, electronica and folk with melodies evoking childhood nostalgia, along with their haunting voices, and their fantastical costumes rooted me to the spot – where I stayed, swaying for the duration of the gig, transfixed. The back drop to the set was filled with ever changing, flashing images of landscapes, painted faces and animals. ‘Rosie’ hypnotised the audience with her operatic voice and playful dancing, while ‘Coco’ tucked herself to the side with her raspy baby-doll voice and introverted persona in disguise. 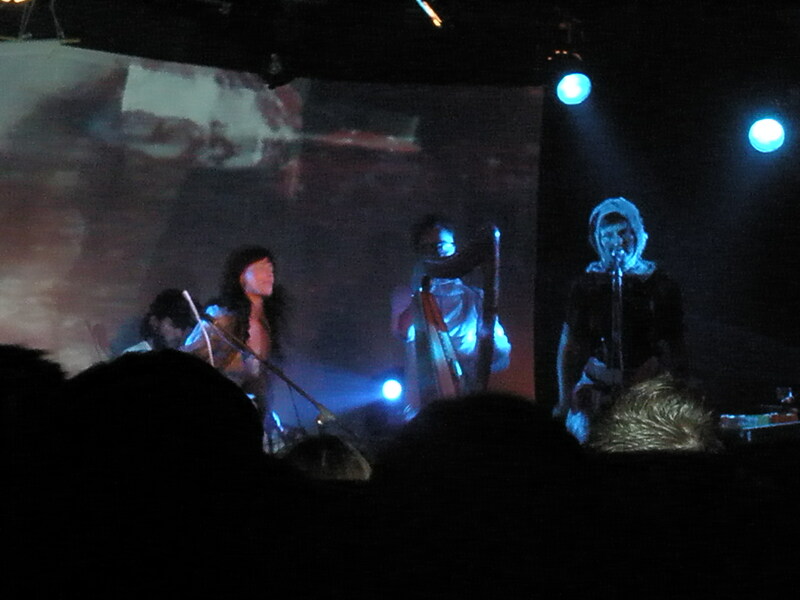 It was like an intergalactic freak opera – CocoRosie wear their imagination and eccentricities on their sleeves. This video isn’t from the Beijing gig because I couldn’t find any. This video is from their gig at the amazing London Union Chapel. However, these rather two poor photos are from the Beijing gig. But anyway, if you haven’t listened to them before, then check them out and ignore the opinions of Pitchfork in the process. They are like marmite, yes. Some people love them and their brazen weirdness, some hate them, seeing them as gimmicky and false. I fall into the first group, Pitchfork skulks around with the second.